Common Issues Preventing Register Closures from Posting to QuickBooks – How can we help? Once you have set up your QuickBooks integration with Vend, you may have some issues that may prevent you from posting your register closures from Vend to QuickBooks. Below are some common issues and how to prevent them from occurring. 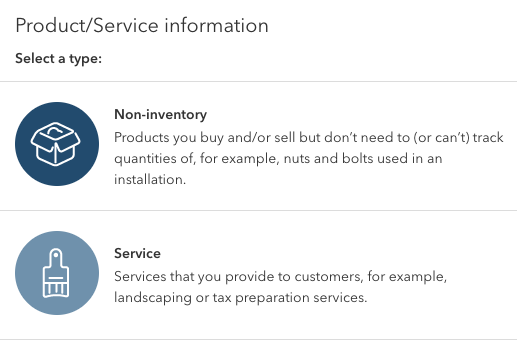 If you don't see any of your products or services in the drop-down in Vend, you will need to make sure you have created these under Sales -> Products and Services in QuickBooks. Once you have created your products and services correctly in QuickBooks, tap Reload QuickBooks Options and your items should now appear in the drop-down. If the amount of refunds processed exceeds the total amount of payments for the day, your register closure will fail. Please contact our Support Team for assistance with this. When creating your Products and Services, they must be set to either Services or Non-inventory. Choosing any other type such as Inventory will prevent your closures from posting to QuickBooks, as Inventory is not synced between Vend and QuickBooks. Another reason for a closure not to post to QuickBooks is if you have the same name for a Product and Category in QuickBooks. Please ensure that you have unique names set up for all your Products and Categories in QuickBooks.